Amber, a luminescent organic gemstone, will stop the show with this lovely Amber Bracelet! 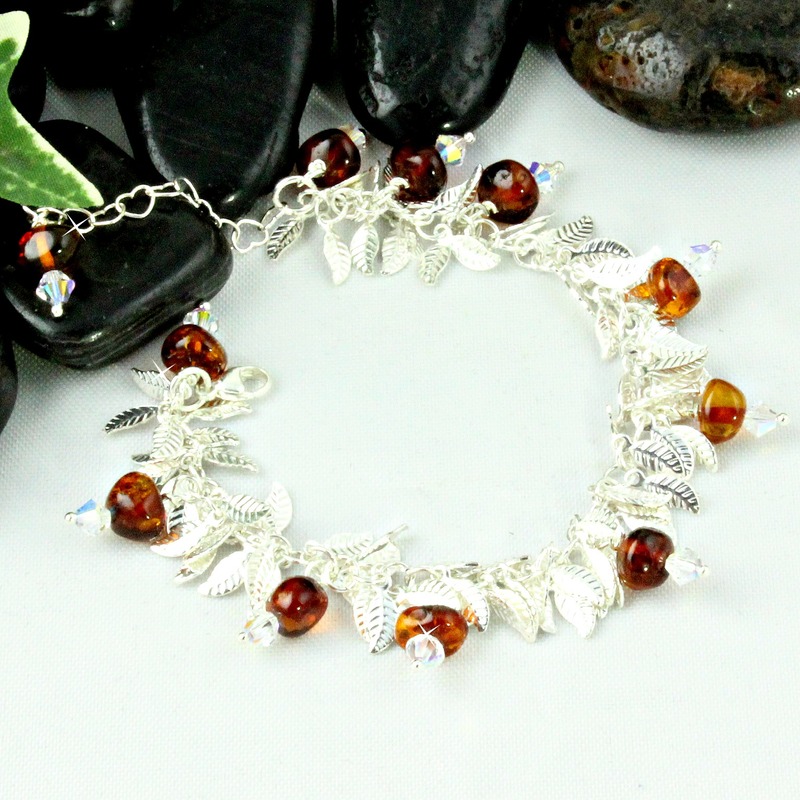 Each piece of Amber on this bracelet seems to glow from within and truly is spectacular! Finished with Austrian crystals, this bracelet just exudes life, happiness and warmth! Each bracelet handmade with semi-precious gemstones and gorgeous Austrian crystals. Leaf bracelet made with ultra-high quality hypo-allergenic electroplated brass. Highly resistant to tarnishing, chipping or flaking.